de chromos donne toutes les clés pour comprendre le Far West. Christine Barrely has travelled the world and has spent much time in the United States, in New York, California, and in the West. She is the author of forty cultural and travel guides and has notably written several Michelin and Gallimard guides on California, the American West and the great parks. She is also greatly interested in the autochthonous populations of North America. She has signed beautiful works with Hachette Tourisme and E/P/A, as well as cultural articles in regional magazines. Where did Billy the Kid inherit his nickname from? Who were the first California trappers? How should one smoke the Peace Pipe? Where do mustangs come from? What is the significance of the feathers on Indian headdresses? Who was Crazy Horse? How does one build a teepee? What is the rodeo's function? What is a totem ?... 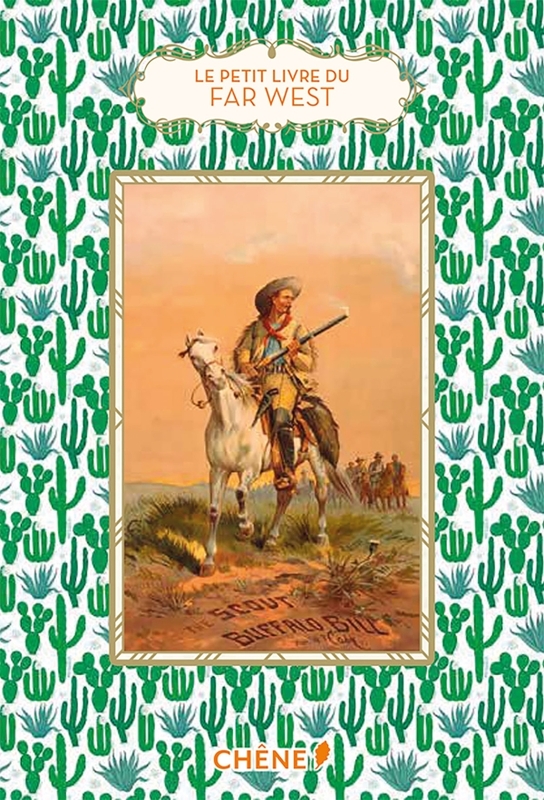 Richly illustrated with vintage chromos, this little pocket book gives all the keys to understanding the Wild West.